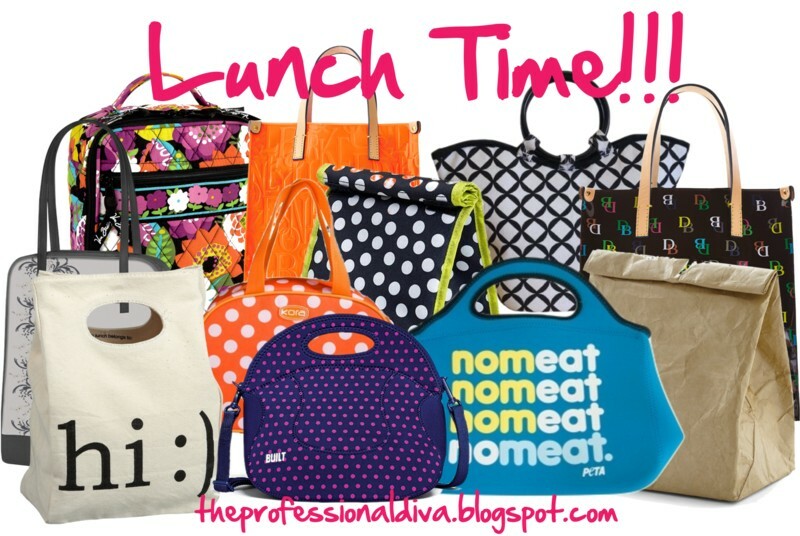 THE MARTINI CHRONICLES: Professional Divas Must Have...A Stylish Lunch Bag! 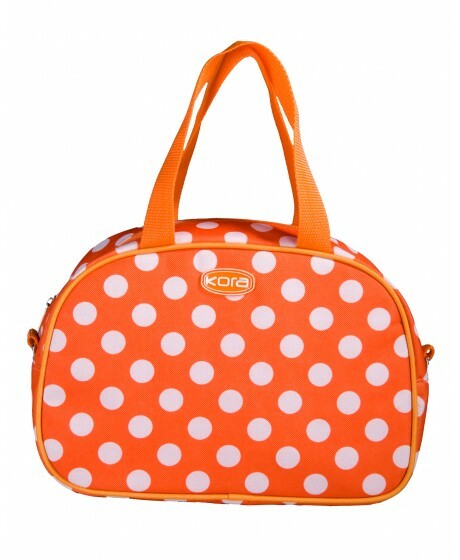 Professional Divas Must Have...A Stylish Lunch Bag! Fact: Saving money is great. Fact: Preparing your lunch at home and bringing it in to work with you will save you money. 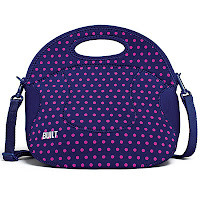 Fact: Having a stylish, super-cute lunch bag is a fabulous addition to your everyday work attire. Okay maybe that last statement was more of an opinion, but there's no reason why Professional Divas shouldn't own a lunch bag (or two, or three) that compliments her style. Especially since there are so many different shapes, sizes, and colors on the market. And they're not too pricey. Check out some of the great lunch bags I found while searching the web. 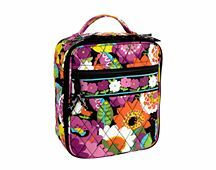 Vera Bradley Lunch Break Bag: A fully insulated, upright lunch bag with a mesh pocket designed to hold an ice packet. This lunch bag, which comes in a variety of different patterns, is currently on sale for $17 at VeraBradley.com. Dooney & Bourke DB Lunch Bag: Super cute and stylish, and not that bad on the pockets either. This lunch bag will cost you $35 on Doony.com. It also comes in different colors! Sachi Kora Style Lunch Bag: Not only is this lunch bag adorable, but it comes with a removable shoulder strap, a large opening, and a food safe interior. And it's only $9.99 at sachi-bags.com. Fit & Fresh Nantucket Insulated Lunch Bag: This lunch bag is so cute that I just placed it in my shopping cart to purchase! The Nantucket bag is insulated to keep your lunch fresh and cool. It also has an interior mesh pocket to hold ice packets, utensils, and/or condiments. Get yours for $13.95 at shop.fit-fresh.com. 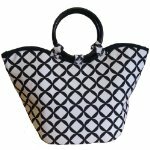 Built Spicy Relish Lunch Tote: This lunch tote, which is made of highly stretchable neoprene material, is great for those extra wide sandwiches and containers. 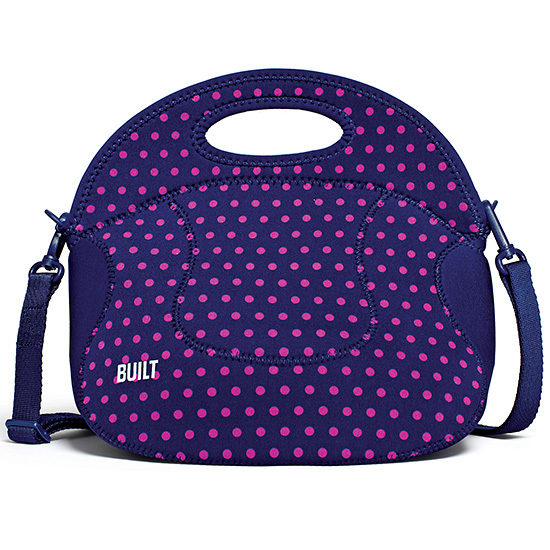 It comes with a removable shoulder strap and a pocket to hold an ice packet, utensils, or extra snacks. This one will cost you $29.99, and is available at BuiltNY.com. 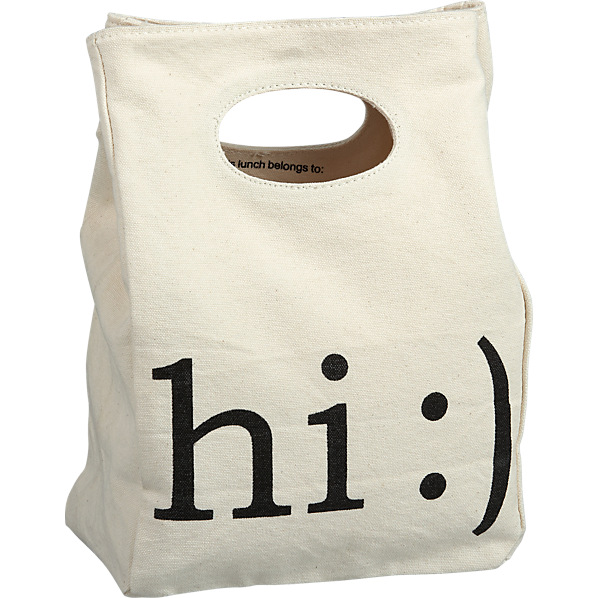 CB2 Hi Lunch Bag: If you're looking for something simple but cute, look no further. This lunch bag is made of organic cotton, and can be washed in the washing machine. Now on sale for $14.95 at CB2.com. So, are you motivated to purchase a lunch bag?